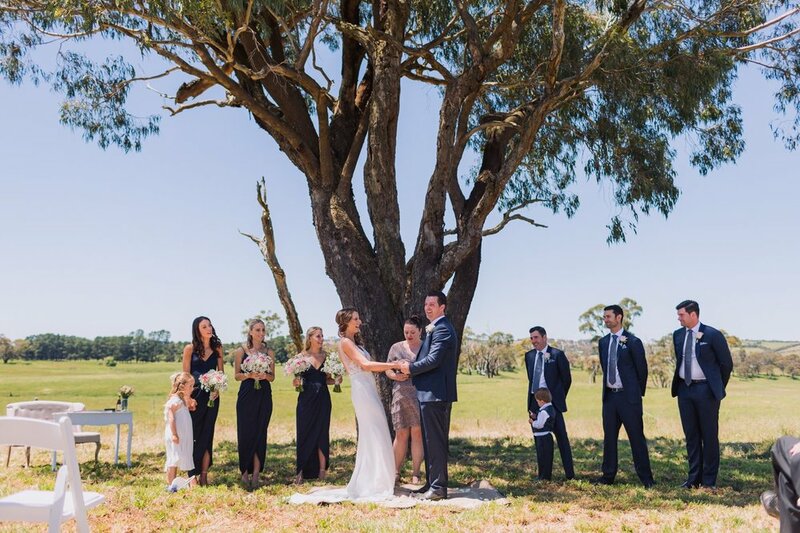 We have a wealth of experience in planning country weddings in Central West NSW. Our local knowledge of venues and wedding suppliers, allows us to provide quality advice and recommendations for your big day. We aim to make the process of planning a wedding as simple and stress-free as possible for you and your families. Are you totally overwhelmed at the idea of organising a country wedding, live outside the area, or simply just do not have the time? Our full planning service has us arrange all your suppliers and wedding plans for you – from concept through to completion. Leaving you to fully enjoy the process of getting married, totally stress free. For couples who wish for us to assist with organising elements of their wedding day. Perhaps you need assistance with sourcing a photographer, celebrant, hairdresser, make-up artist, or transport and accommodation options for your guests. Let us visit your venue with you & talk through the set up & logistics of your event. We can provide advice on floorplans, timings, budget, set up arrangements & supplier recommendations. Giving you the confidence to move forward with the planning & preparation of your big day. Would you like a helping hand navigating the wedding planning process? Let us provide support & guidance through a number of meetings in the lead up to your wedding to help keep you on track & make sure all the finer details are covered.